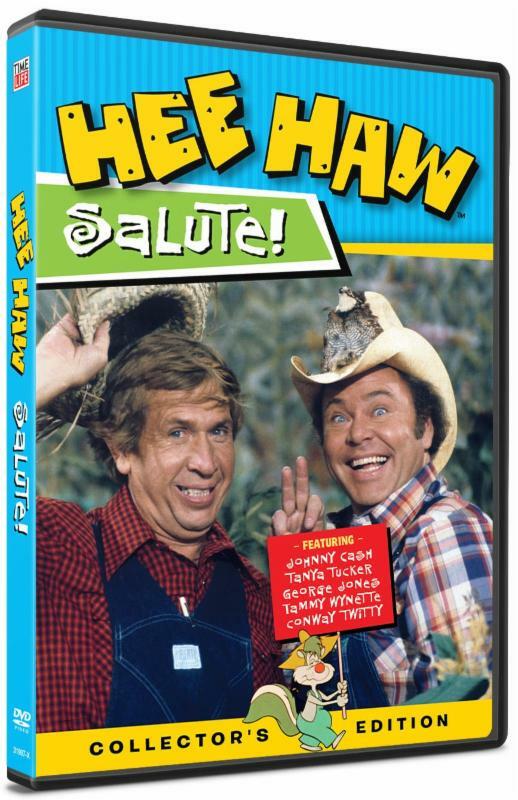 Conceived as a rural alternative to Rowan & Martin's "Laugh-In," HEE HAW landed on television in 1969 as a summer replacement series for "The Smothers Brothers Comedy Hour." With a cast of characters including Minnie Pearl, Grandpa Jones and Archie Campbell, knee-slapping comedic zingers, and jaw-dropping musical performances, the comedy-variety show, co-hosted by Buck Owens and Roy Clark, captivated the country. 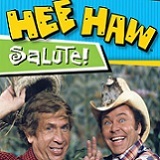 In 1971, after two successful years, CBS dropped the show in an effort to "de-countrify" the network's programming; however, it was quickly picked up and aired for the next 21 years, making HEE HAW the longest-running weekly syndicated original series in television history. THIS OCTOBER, TIME LIFE OFFERS UP A BIG, DOWN-HOME SAA-LUTE! WITH TWO BRAND-NEW DVD RELEASES FEATURING LEGENDARY CORNPONE YUKS, PERFORMANCES BY COUNTRY MUSIC LEGENDS AND MORE! Episode 108 (Season 5, original broadcast date: October 13, 1973) - Highlights include Tanya Tucker singing "Delta Dawn" and "What's Your Mama's Name", Buck Owens and Buddy Alan performing "White Lightnin" and classic knee-slappers including several installments of the ever-popular "The Cornfield", "Doc Campbell", "Samuel B. Sternwheeler" and "Pfft, You Was Gone". Episode 126 (Season 5, original broadcast date: March 2, 1974) - Country Music Hall of Famers abounded in this classic episode featuring Loretta Lynn performing "Hey Loretta", The Hagers singing "Six Days on the Road" and Loretta and Conway Twitty with "Louisina Woman, Mississippi Man". Sketches included "The Naggers", "Grandpa and Minnie's Kitchen", "KORN News", "Moonshiners" and stories from Jerry Clower and Tennessee Ernie Ford. Episode 152 (Season 6, original broadcast date: February 15, 1975) - Aside from fan favorite sketches including "Gordie's General Store", "Goober's Service Station" and "Archie's Barber Shop", this episode which aired on CBS, also featured Dolly Parton performing "Love is a Butterfly" and "I Will Always Love You", Buck Owens and the Buckaroos singing "Long Tall Texan" and "Games People Play" and Barbi Benton with "Now I Lay Me Down to Sleep with You". Episode 153 (Season 6, original broadcast date: February 22, 1975) - Another CBS time capsule, this vintage episode featured one of the Queens of Country Music, Kitty Wells, performing "It Wasn't God Who Made Honky Tonk Angels" and "Too Much Love Between Us". Freddy Weller, The Hagers and Jackie Phelps also showcased their country music chops, along with Buck Owens and the Hee Haw Gang on "Too Old to Cut the Mustard". Episode 162 (Season 7, original broadcast date: October 25, 1975) - Melba Montgomery performed "Searchin' (For Someone Like You)" and her hit "Don't Let the Good Times Fool You" and Freddy Fender sang his big chart-toppers "Before the Next Teardrop Falls" and "Wasted Days and Wasted Nights" in this classic episode from 1975. Episode 169 (Season 7, original broadcast date: December 13, 1975) - Johnny Cash takes to the HEE HAW stage to sing his first #1 hit with "I Walk the Line" and "All Around Cowboy" and La Costa performs her first top ten hit with "Get on My Love Train", as well as "This House Runs on Sunshine". Sketches include classics like Roy Clark as "Claude Strawberry", "Hey Grandpa, What's for Supper" and a very special "Pickin' and Grinnin'" with the Man in Black Himself!